The beautiful location of Artaquarius on the west coast of Scotland overlooking the Isle of Arran cannot fail to inspire artists. 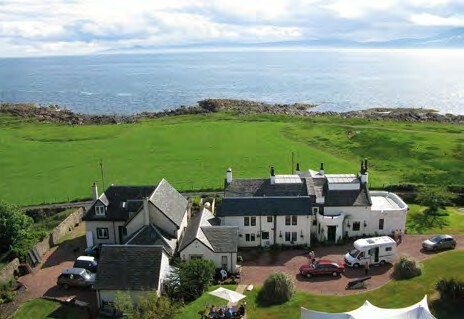 Artaquarius is based at South Banks House – a 17th century country house with period features, set in its own large garden with a stunning rock-cliff backdrop and views across the Cumbraes, Holy Isle, the Kyles of Bute and Ailsa Craig. 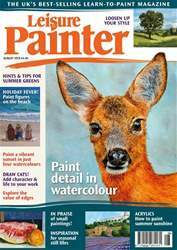 From here, Audrey Haddon Scott runs short break (three-day) painting holidays in all media and catering for all levels. The courses are tutored by Muriel Blair, a painter and art teacher from North Ayrshire, and the house provides elegant and comfortable accommodation for up to eight people in three double/twin rooms and three single rooms.